Comment: Riesenberg, in the same boat as many of his contemporaries... especially in the small specialization of western pulp covers found himself very busy... there were a huge number of similar publications that proliferated. 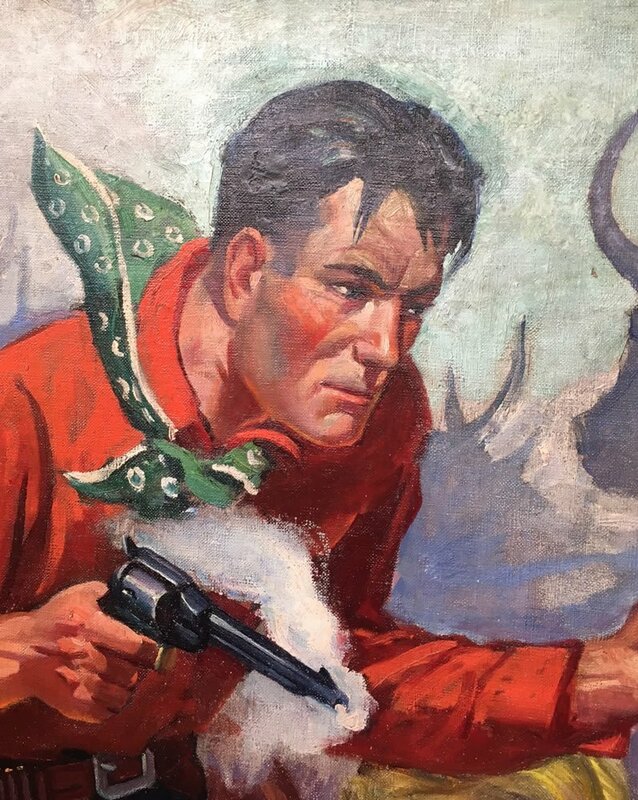 What’s especially interesting here is the size and level of detail and effort in this picture... my theory and one could probably prove it satisfactorily is that as a relatively “young” magazine when this piece was painted, I think that Western Novels and Short Stories may have courted the best talents in the field by paying a little bit more. Hence, a hard-working and conscientious illustrator like Riesenberg would have put in the extra time to put his best foot forward with the goal of becoming a regular contributor to the publication. A full copy of the magazine accompanies purchase of the art. 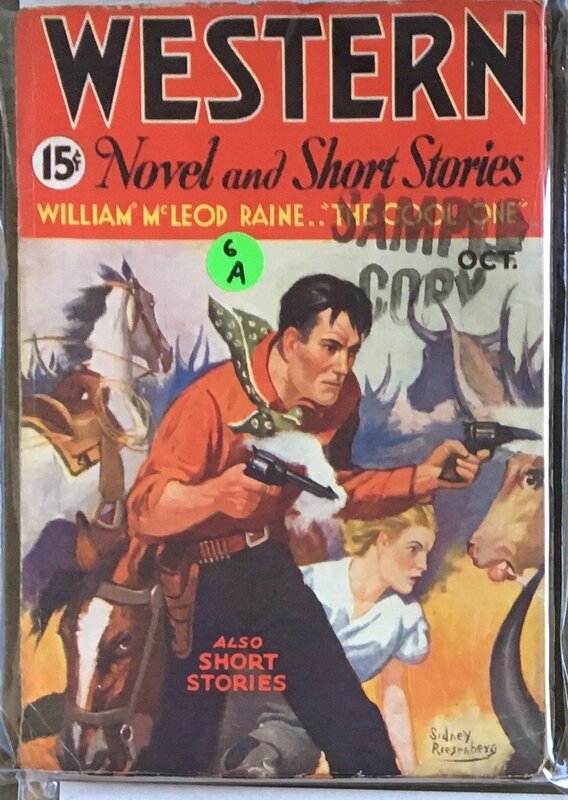 Publication Information	 Cover for Western Novels and Short Stories magazine for October 1934.